The Morgantown, WV, law firm of Angotti & Straface Attorneys at Law L.C. has been serving the needs of our family law clients since 1952. We represent divorcing and separating parents in a variety of legal proceedings, including filing for initial child support, modifications of existing child support orders, and enforcement. We are trial lawyers with over 66 years of combined experience and the skills necessary to ensure that the best interests of the child and your family are fully represented in courts of law. How is Child Support Calculated in West Virginia? West Virginia law considers numerous factors when calculating the amount of child support that is payable from one parent to another for the care of each child. Each parent’s monthly gross income, as well as the number of children, are two of the main guidelines used in legal tables developed by state law to calculate the fixed dollar amount of child support payable from the noncustodial parent to the custodial parent. The basic financial obligations considered by the courts include providing the child with the essentials of life, including adequate food, shelter, education, clothing, childcare, and healthcare. However, each circumstance is calculated on an individual basis. For example, additional medical, educational, and support expenses may be considered essential, particularly for children with special needs. In cases where the noncustodial parent fails to provide financial support for the child as specified in the final divorce decree or child support order, enforcement may be required. The attorneys at Angotti & Straface in Morgantown, WV, provide competent and prompt legal assistance to ensure that your child receives the proper amount of support ordered payable by law by the noncustodial parent. The amount, date of first payment, frequency of payments, and location where the payments should be sent are court-ordered and non-negotiable unless a modification order has been placed by a judge. All changes in gross income must be reported to the Bureau for Child Support Enforcement. 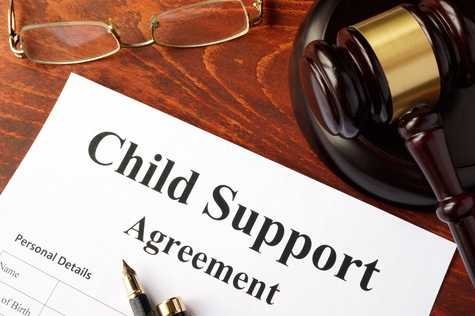 In some cases, when the noncustodial parent’s income is insufficient to cover the financial order for child support payments, support must be provided from alternative resources of the noncustodial parent, including tax refunds. In most cases, child support payments cease at the age of 18. However, if the child is unmarried, living with a parent, guardian, or custodian, and pursuing secondary education, payments are mandated to be paid for the support of the child up to the age of 20. For legal assistance with all of your child support and modification matters, as well as aggressive enforcement of child support rulings for “deadbeat dads” or “deadbeat moms,” contact Angotti & Straface Attorneys at Law L.C. in Morgantown to schedule a free initial consultation: (304) 292-4381. Se Habla Español.